How is it possible to challenge big global watchbrands? Or shall we say, is it possible? We are going to interview a couple of independent watchmakers who set their goals high. Their passion can be seen through their work. Last week we stopped in Sweden to check up on Halda Watch Co. This week Bruvik Time from our neighbour country Norway is in focus. Johan Sehlstedt: As independent watchbrand in Norway/Scandinavia- what does it take to get recognised? Rune Bruvik, Creative Director, Bruvik Time: - It is very challenging to be recognized as an independent watch brand, not having 100 years or more of history and not belonging to a big group like Swatch group or others. When that is said, this is also the fun part; as it is not just all about to make a nice watch, it is about making a genuine concept for each model and the brand in total. As the big watch brands do have a lot of funds for marketing, it is important to "think outside the box" in many ways to be noticed. This includes an active approach in social media, cooperating with watchblogs and making market stunts that are different than what consumers are used to. 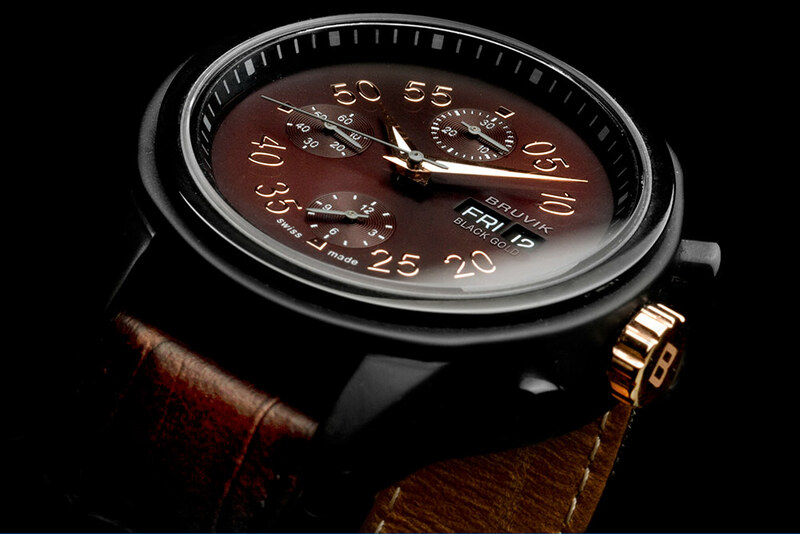 - BRUVIK is all about the concept of fusing nature with modern watchdesign, so that the wearer do feel there is more to the watch than "just" a pretty well know branded watch. This is surely complicated enough, as it if a fine line between a conceptual interesting watch and just making something cheesy for the conceptual sake. So the details that do separate the design from other brands must be different, but still it must be a functional nice looking watch. - I have made various designs that never has been launched to the market, as it is critical to balance the intention of making "something different" with the fact that the watch has to be commercial interesting. It is not a big problem to make one watch that is expensive and interesting for a handful buyers, it is much more complicated to find the balance of making a different design approach with commercial attraction. To build a new brand over time, takes time, and the products must sell in the market in order to continuously grow. - I do believe that BRUVIK has found its place in the watch world, as we have balanced the concept and the fusion of nature in a genuine way. Norway has a beautiful nature, and as we are a Norwegian based brand, it is a part of our DNA. I do believe independent watch brand must find its own niche that is trustworthy, they must find the DNA that represents where they come from. 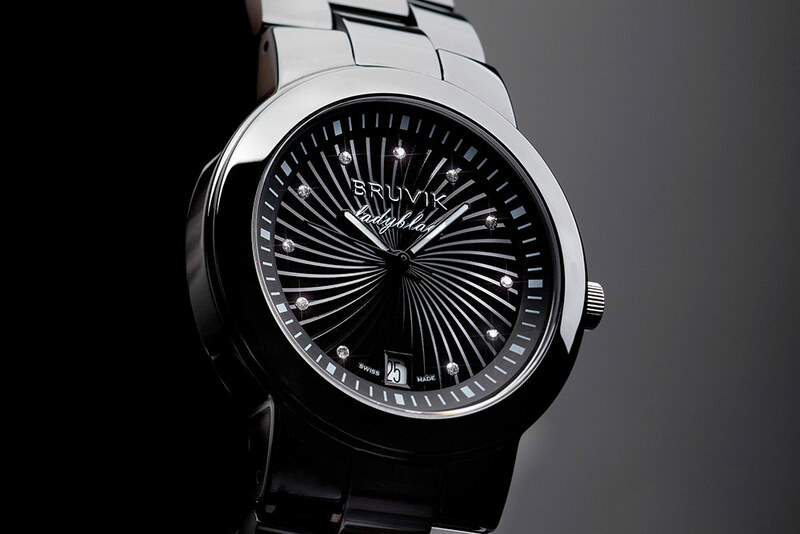 Johan Sehlstedt: - Is the watchmarket ready for Bruvik? Rune Bruvik: -We started up with one model in 2009, just as the financial crisis emerged strongly. Even then we did sell well in our home market, as I do believe modern customers are ready for new idéas and new ways of productdevelopment and concepts. We do aim to find our place in the watch market as a nichebrand that make products for the innovators, not for everyone. There are some brands that made its way to grow big by offering a different approach to the traditional thinking within the watch world. If you look at Technomarine 10 years ago, they sold watches with rubberstraps, rubber covering cases mixed with diamonds at a high price level. They grew very fast, and showed that the watch market already then were ready for new emerging concepts within the watch market. 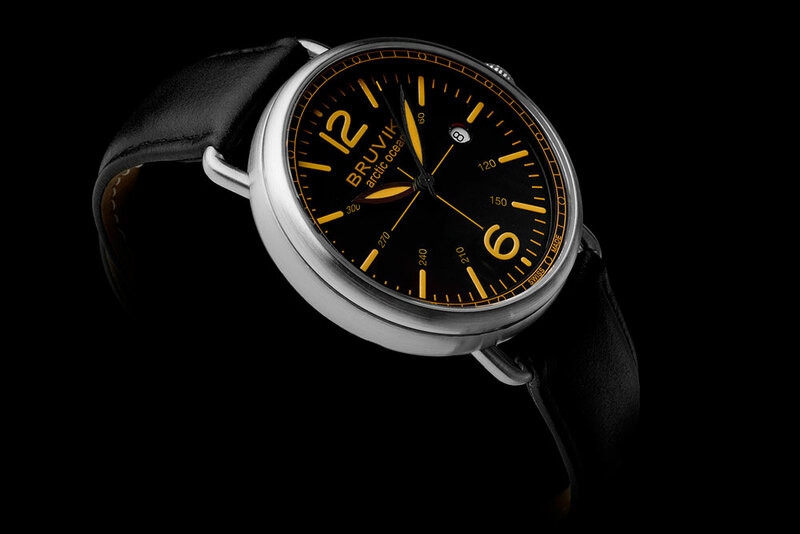 I do believe that the watch market is ready for BRUVIK now, as we have built up a genuine concept with our own genuine DNA. It will however take time to enter new markets, as most distributors and shops would like to see stability of any brand before investing. Johan Sehlstedt: What is your opinion on Quartz, Automatic, Manual Mechanical movements? Rune Bruvik: - I do believe that for one person a quartz watch can be the perfect choice, while for another an automatic is the perfect and only choice. I do prefer automatic watches due to the feeling of wearing a watch that is driven by my own movement. But; I do think it is of importance to be honest that a watch is about feelings, not logic. 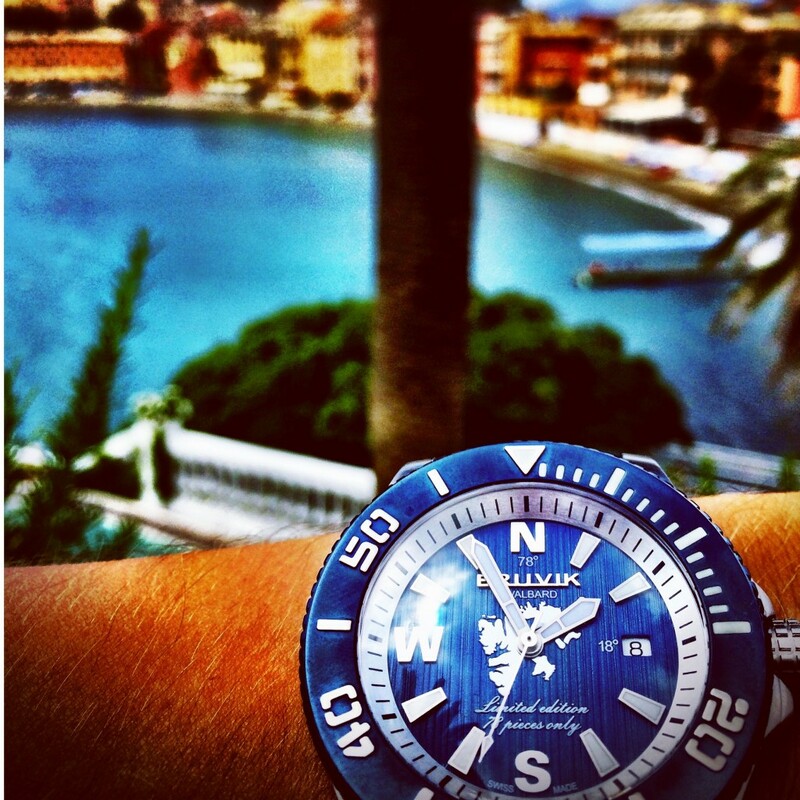 A watch is not at all just about showing time anymore, it is the genuine feeling that the product give the consumer. In this regard I think quartz watches sometimes are treated unfair, if the design and concept of a watch is top notch, and the feeling of the product is in accordance with the needs of the wearer, this is just perfect. It is a personal preference, and I think it is about time that we allow a quartz watch to be a nice watch also, even if more modern. Rune Bruvik: -This was for me a big personal victory, and did mean a lot for me. As knowing how difficult it is to be recognized in the business and surely difficult to compete with well known brands, I was deeply honored and proud by this nomination. I almost did win the competition, and ended on a second place. Actually I applied for the competition for fun, and was very surprised that I was nominated. 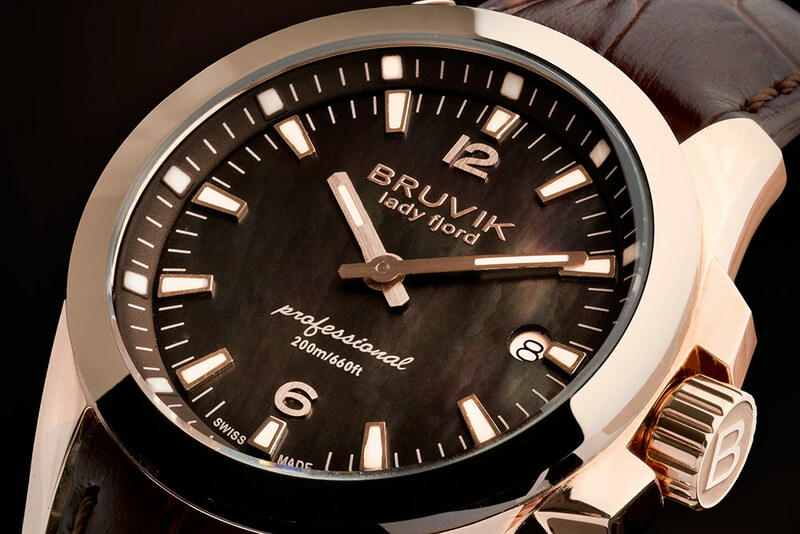 When that is said; I do still mean that the product (lady fjord) is a beautiful watch, but as we do not have the market position at all as the other brands, I was amazed that the jury was bold enough to nominate our brand. Johan Sehlstedt: - Two my favourites are Svalbard Navigator and Arctic Ocean II. Which Bruvik models are the most popular? Rune Bruvik: -You have a good taste, as this is also the two best selling models, in addition the lady fjord model is also very popular. We´ll continue part two of the interview with Rune Bruvik on saturday, until then follow Bruvik Time on facebook and instagram. And of course my instagram. HAGWE!